578 pages | 37 Color Illus. | 120 B/W Illus. Metal-organic frameworks (MOFs) have emerged as a new family of nanoporous materials. With an enormous choice of inorganic/organic building blocks, MOFs possess a wide range of surface area, pore size, and functionality and, thus, have been considered versatile materials for many potential applications. This book presents a broad collection of recent modeling studies in the field of MOFs toward potential engineering applications, such as gas storage/separation, carbon capture, catalysis, water purification, and drug delivery. The subject of this book renders it unique, for while the various topics on MOFs boast vast literature, there is not yet a single coherent collection for modeling endeavors. The book will appeal to scientists, engineers, and students in the multidisciplinary intersections of materials science, chemistry, and engineering. "The worldwide community of chemists and chemical engineers is grateful to the authors of these assembled articles and especially to Jianwen Jiang for his diligent service as editor of this timely volume." "The importance of metal–organic frameworks has grown explosively in the past decade, and molecular modeling is playing an important role in this development. This timely book contains reviews by many of the leading modeling researchers in this field and will be essential reading for those interested in this important and rapidly growing field." 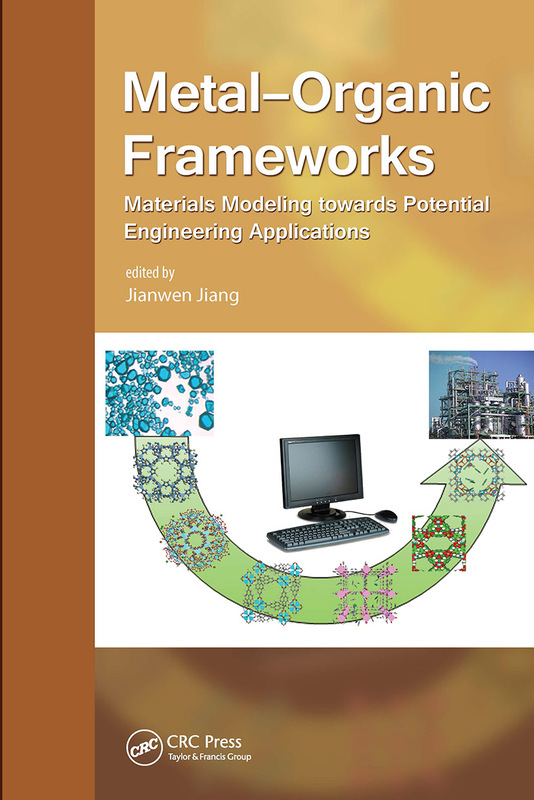 "In this comprehensive, information-packed edited volume, Jianwen Jiang brings together a collection of chapters on different aspects of modeling metal-organic frameworks. The volume is required reading for researchers interested in this novel class of materials for adsorption, gas separation, and catalysis." "This 13-chapter book introduces high-priority subjects on metal-organic frameworks such as their structure and adsorption, separation, and catalytic properties. The unique approach of this book is that these key subjects are overviewed from chemical engineering modeling approaches using various examples with less technical modeling languages. To enable better understanding, the fundamental concepts are well arranged in every chapter, and this book should be helpful to design new MOF families for a specific application on a solid scientific basis." Jianwen Jiang is an associate professor in the Department of Chemical and Biomolecular Engineering at the National University of Singapore. His research expertise is computational materials modeling and statistical thermodynamics, currently focused on nanoporous and membrane materials for energy, environmental, and pharmaceutical applications. He has published over 160 technical manuscripts, as well as a number of invited reviews and book chapters. He is on the editorial boards of Scientific Reports, Frontier in Materials, Advances in Materials Research, and Colloid and Interface Science Communications, among others. In 2010, he received the IES Prestigious Engineering Achievement Award from the Institution of Engineers, Singapore.